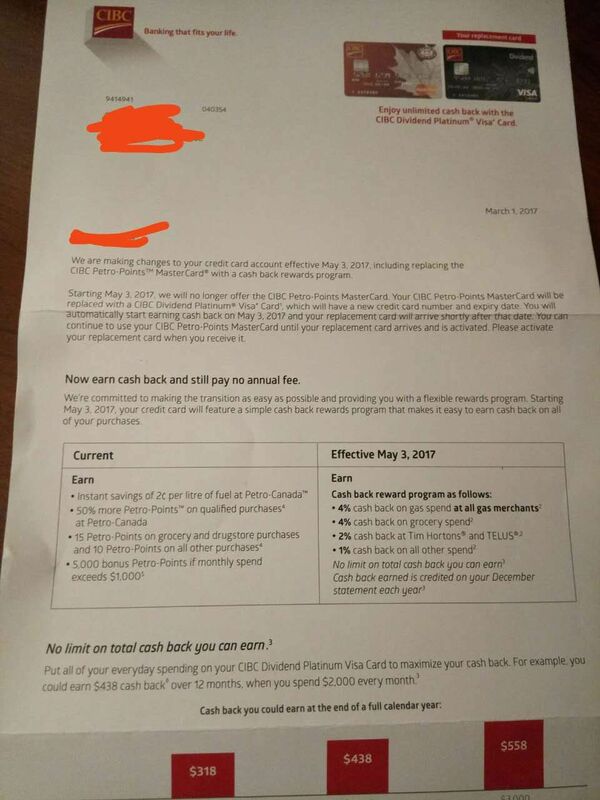 Starting May 3, 2017, CIBC will no longer offer the CIBC Petro-Points MasterCard. The old CIBC Petro-Points MC will be replaced with a CIBC Dividend Platinum Visa Card, which will have a new credit card number and expiry date. 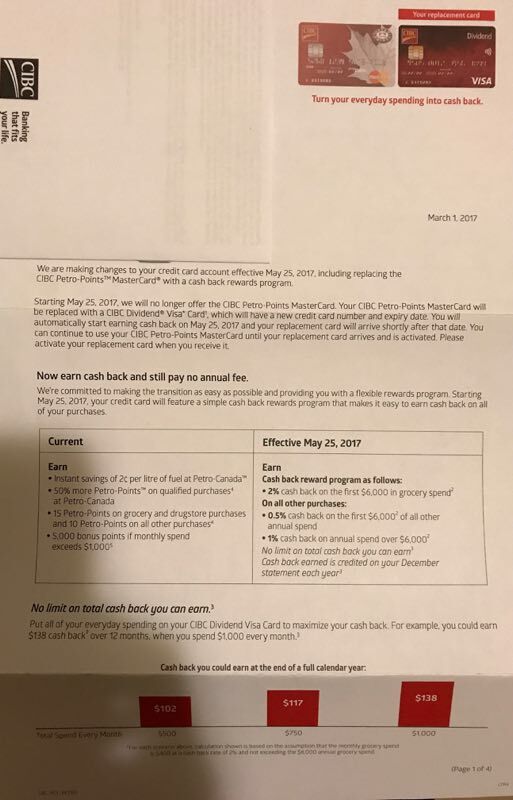 So, the old CIBC Petro-Points MC cardmember can now enjoy Cash Back (4% on grocery + gas; 2% at Tim Horton + TELUS) and still pay NO annual fee... What a great card, when it becomes a non-annual fee card! Actually one of my friends got another letter from CIBC. 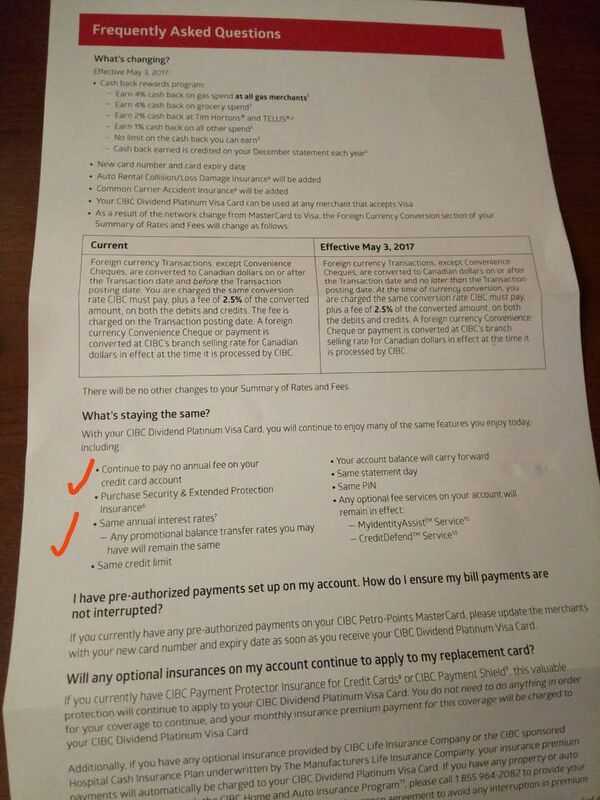 His CIBC Petro-Points MC will be replaced with a non-annual fee CIBC Dividend Visa (starting May 5th), which only gives 4% cash back on gas (first $6000), and 2% cash back on grocery (first $6000). 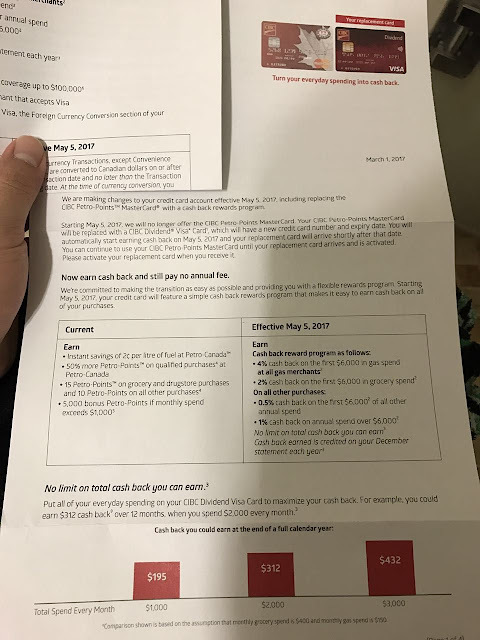 It is better than the normal CIBC Dividend Visa, but not as good as the Dividend Platinum Visa. The credit card limit is $9000 in this case. 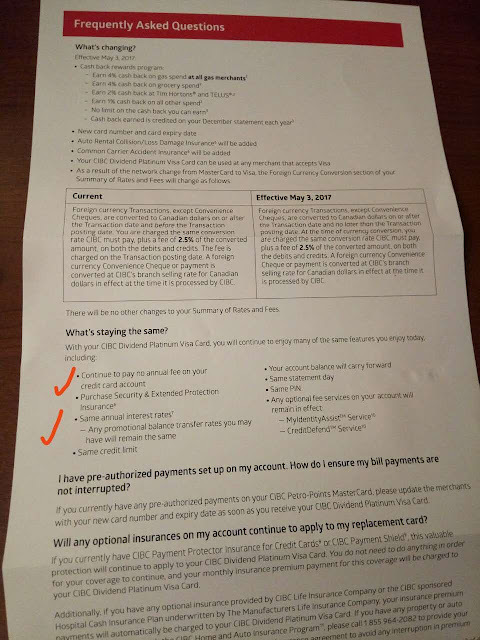 So, I guess that CIBC's decision is not based on credit limit, but mostly on the annual spending on the old CIBC Petro-Points MC. I am quite confused now. I wonder what the CIBC criteria is?